"I had an idea. A big one. To start a business." That's how 9 year old Kathryn Miles Bauer introduces herself on her website. And I think those three sentences tell you a lot about Kathryn- she's bold, motivated, fearless and with each passing day, more and more business savvy. 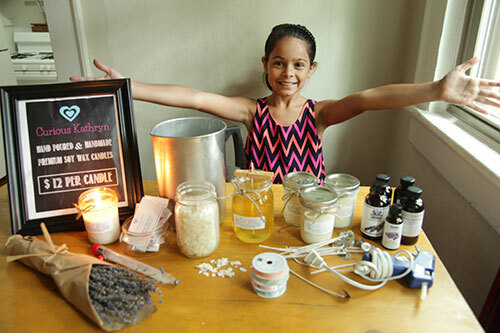 Kathryn lives in Atlanta, Georgia where she recently launched a candle line under her shop name, Curious Kathryn. 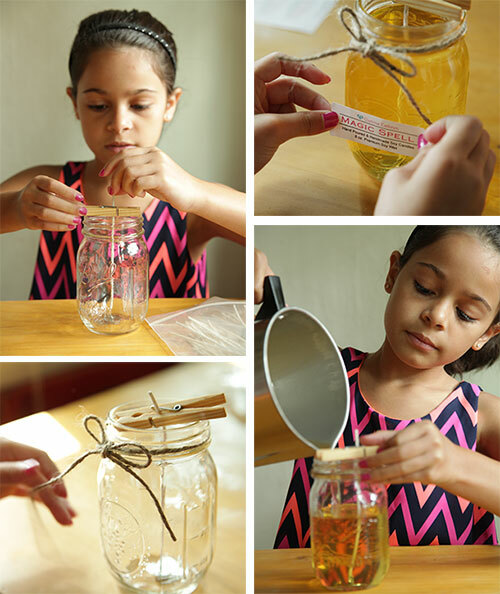 She currently offers three scents; Very Vanilla, Lavender and Magic Spell. 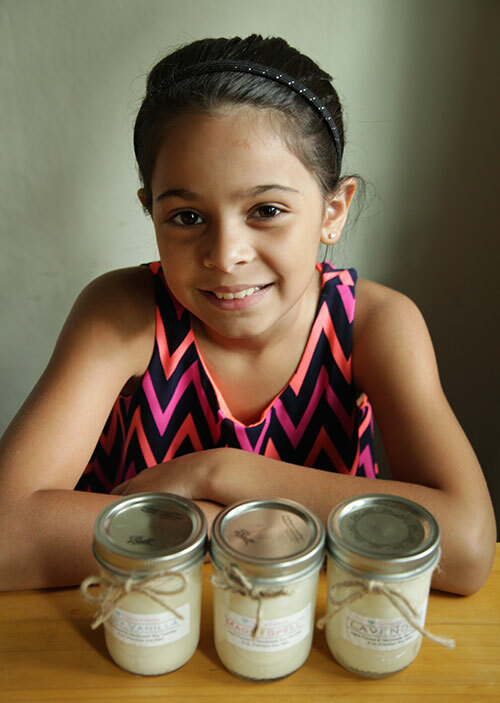 She hopes to add a few new scents soon, including HOTlanta, a mix of cinnamon and peach. Kathryn has a love for fragrances and especially likes how they can instantly put you in a happy mood or a calm mood. When I asked her what her plans are for Curious Kathryn over the next year, she replied, "My plans are super huge. I was thinking of running a mobile cart and I really love to bake and cook so I was thinking I could have a whole stand and business for kids called The Curious Little Bakery. I particularly love Kathryn's list of top 5 skills needed for business success: 1. Always be confident and persuasive 2 Organize your time and budget to get your company straight 3. Have business meetings 4. Be very persistant 5. Think big and outside the box 6. Always smile, be adorable and act very mature. 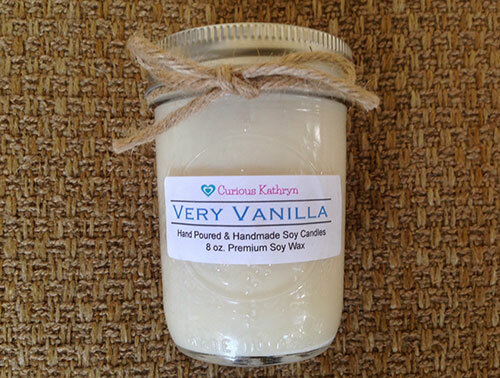 Kathryn currently sells her candles at Made Again in Atlanta and is hoping to add an online shop to her website soon. Her mom, Celeste, pictured above, is the best mom any young entrepreneur could ask for- kind, smart, encouraging. Good entrepreneurs have good role models, which is all the more reason to follow Kathryn on Facebook and Twitter to see what smart and savvy idea she comes up with next. Miss Curious Kathryn is going places...can't you tell?